Run & install application in your system. Click On Open Tab to open EDB file as given below screen. 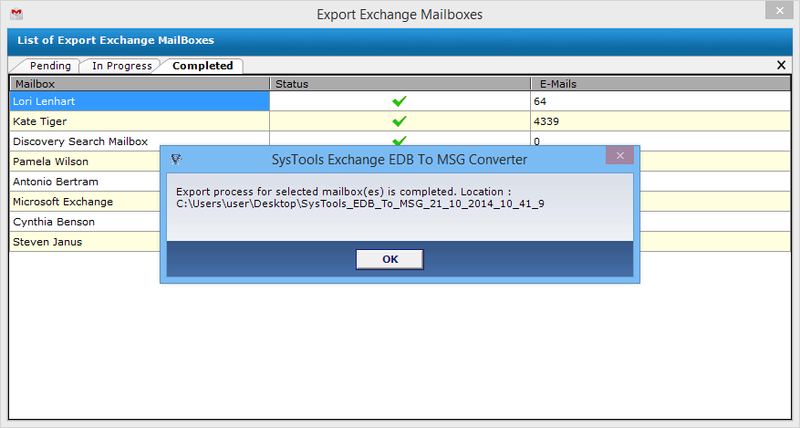 Now select the browse button to load EDB mailbox. Click on left panel to view the each user details. Check and uncheck users & folders to proceed. Next to show the complete status report. Confirm the completion of mailbox status, information of location. Check it then click on OK tab. At the end Navigate the location where you save exported file .